A single tract of land large enough to hold multiple office towers, high-rise residential buildings and a hotel doesn’t often come available inside Loop 610. One near the Texas Medical Center is even more uncommon. After 45 years, Shell Oil Co. is selling 21 acres it owns at the southwest corner of Old Spanish Trail and Greenbriar, just south of the Medical Center’s main campus and directly west of the Woman’s Hospital of Texas. The site houses a midrise office building, a parking garage and several warehouse structures. As far as most people in real estate development would be concerned, they’re all teardowns. The value of the property is in the land, which is likely worth tens of millions of dollars. The land is next to a giant parking lot owned by the Medical Center that is the proposed location of a medical research project to be called the TMC3 Innovation Campus. The facility would bring together several Medical Center institutions and for-profit commercial components, such as hotels, shops and restaurants. It would have a large plaza shaped like a double helix, a nod to intertwining strands of DNA. 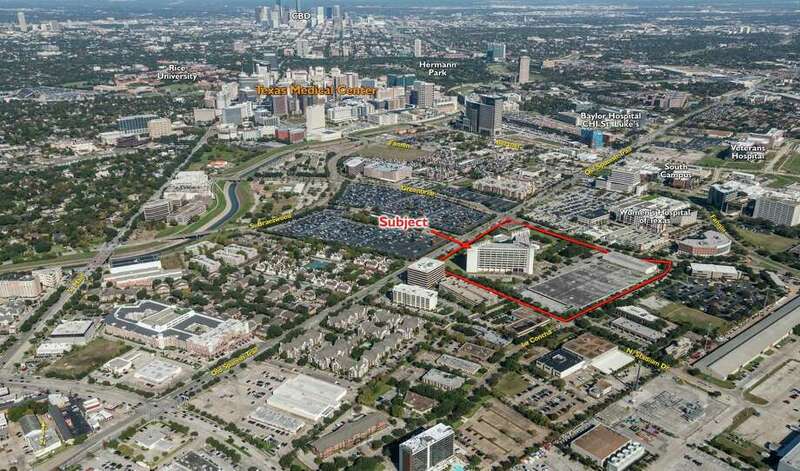 The Shell property is along the light-rail line and represents the largest contiguous redevelopment site in the Texas Medical Center area, according to Cushman & Wakefield, which has the listing. I used to work out that way, and I can tell you, the stretch of Old Spanish Trail from 288 to where it meets up with Main Street, just to the west of this property, used to be mostly run down and vacant lots but is now packed with new Medical Center complexes and residences. The “giant parking lot owned by the Medical Center” referenced is in front of the Smithlands light rail station, which is two blocks from the main entrance to the for-sale tract. That lot is always full – there was a dedicated traffic light put in for it on OST between Greenbriar and Stadium – so I have no idea what will happen when it gets developed as well. I would also note that the large tract of land at Main and Greenbriar where The Stables once was is still a vacant lot after just shy of a decade has passed. In other words, just because a large tract of land is coming on the market, doesn’t mean something will get built on it any time soon. Anyway, if you have a few million bucks lying around, this might be a nice piece of land to pick up. Clues could have been the overgrown landscaping, multiple notices taped to the doors and, for the keenest observer, the bare pole without a U.S. flag or clanging metal cables. 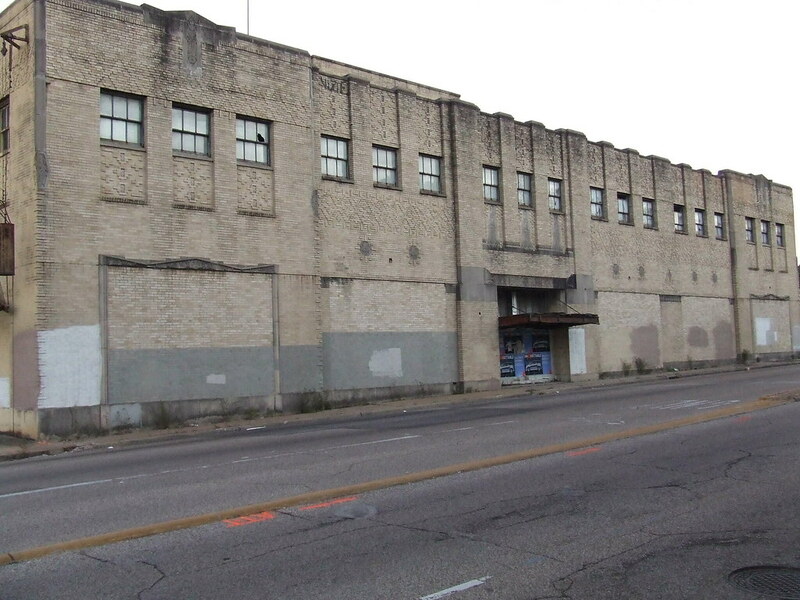 Indeed, the plan for the Yale Street post office in the Heights at 11th Street to relocate operations has come to pass. The new station opened this week in a remodeled annex at 1300 W. 19th Street, though the consumer entrance and drive-up drop box is on 18th Street. The location is near where 18th, 19th and 20th streets pitchfork near East T.C. Jester. Which I noted at the time. Since then, both of the adjoining locations that were under development have opened. The former Citgo across Yale is now Eight Row Flint, which looks promising, while the large space across 11th at Heights is now one of those walk-in emergency clinics, which I hope to never need. (It’s gotten mixed reviews on the neighborhood chat boards, for what it’s worth.) No idea at this time what the Yale post office location will become, I’m just rooting for something interesting. As for the new post office on W 19th, I try to avoid that part of town precisely because that three-road “pitchfork” is a pain to deal with. Besides, the location on Cavalcade is a bit closer. Neither is more convenient to me than the old station was, but that’s the way it goes. Jim Weston of the I-45 Coalition sent the following feedback to TxDOT regarding their plans for remaking I-45 in and around downtown. 1.1 – All existing sound barrier walls must be replaced. Past agreements to install sound barrier walls, must be installed as part of this project. 1.2 – Sound Mitigation – There must be noise barrier walls for residential neighborhoods that are adjacent to the freeway, with landscape/beautification included. Consider a design that is appropriate for some of the oldest districts of Houston. Consider both vertical and horizontal caps and a slight inward angle towards the freeway instead of vertical walls to further remove sound from entering neighborhoods. 1.3 – Utilize ‘quiet pavement’ techniques and materials to lower the sound decibel levels generated from the roadways. 1.1 Proposed plan has additional R.O.W. taken from the east side of I-45 south of Crosstimbers. This east side is populated by well-developed and thriving businesses, while the west side has many vacant or closed businesses. It is more desirable to utilize the additional R.O.W. from the WEST side in this section, instead of the east. Conflicts with floodway can be mitigated by retention / detention basins, channel adjustments and by building above grade. 1.2 There need to be curb cut entrances from frontage roads so customers can gain access to businesses. 2.1 – All bridges removed and rebuilt (Cottage St., N.Main, North St.) should be rebuilt as architectural-styled bridges that have physically (concrete barrier, for example) separated, wide pathways for pedestrians and cyclists. They should have pedestrian friendly lighting. This section of I-45 passes thru some of the oldest districts of Houston and the bridges should reflect that character. They should give our neighborhood a visual identity (similar in concept to the “red-ball” bridges over US-59 at Mandell, Dunlavy, Woodhead, Hazard). Perhaps an artist design competition? 2.2 – Houston Ave. must continue to be a two-way street. Otherwise, it will force additional traffic onto neighborhood streets. Keep Houston Ave two lanes southbound, two lanes northbound and then a designated barrier-separated entrance ramp (at grade level) to I-45 south. This separated entrance ramp can be merged with additional vehicles from Houston Ave north bound (similar to current). This layout completely eliminates the dangerous cross-traffic intersection that is currently in place. 3.1 – I strongly support the Pierce SkyPark concept and request that TxDOT incorporate this concept at the Pierce Elevated. In particular, I would like to be able to use existing portions of the Pierce Elevated infrastructure for a hike-and-bike connectors, green spaces and parks. This will also provide a reduction in demolition costs to the project for TxDOT. 3.2 – I want connectivity from I-45 to and from Memorial Drive. Memorial Drive is an important East-West connector and needs to have connectivity with I-45. 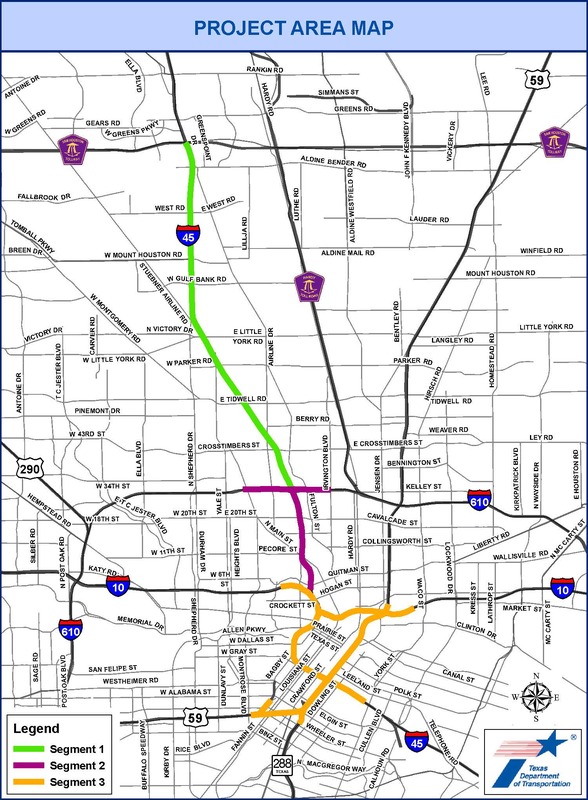 Without Memorial connectors, west side inner-loop residents will be adding to congestion on I-10, 610 and or US-59 while accessing I-45 North or South. There’s a lot more, so go read the whole thing. The deadline for submitting feedback to TxDOT on this project is tomorrow, May 31. This deadline has already been extended once thanks to a request from Rep. Jessica Farrar, so don’t blow it. Go here to submit your feedback. TxDOT can’t know what you do or don’t want if you don’t tell them. It would also be nice to know what the Mayoral candidates think about this, wouldn’t it? I wonder if any of them submitted feedback to TxDOT about this. That’s a question that may show up in a future interview. The Heights real estate boom continues apace. The next hot property to hit the market in the Heights is nearly 1 acre in size, boasts a large shade tree and fronts two busy commercial streets. The current owner is motivated to sell. On Monday, the U.S. Postal Service confirmed that it intends to sell the brown-brick post office property at 1050 Yale, at 11th Street, and consolidate operations with another station 2.3 miles away. In a public notice date-marked Friday and posted prominently near the front door of the Heights Finance Station, the agency says the parcel has been determined “excess” and is “no longer necessary” to its mission. If the “disposal action” goes through, the Heights property would join more than 100 other relocation projects announced nationwide as the Postal Service has had to cope with declining revenue in recent years. Developers will be eager to pounce, said Bill Baldwin of Heights-area real estate firm Boulevard Realty. He said several commercial developments have recently been completed in that area, and more are under construction or on the books. Swamplot first reported this. I should note that the former Citgo station across the street on Yale is set to become a restaurant, and there’s a commercial development going on across Heights at 11th as well, so this immediate area is about to become something very different. I’m not thrilled by losing this post office – I still pay a few bills the old-fashioned way, and we send out homemade-by-the-girls birthday cards to various friends and family, all of which it is most convenient for me to drop in the drive-by mailboxes at this station – but it is what it is. I hope we at least get something interesting out of the sale and transformation of this property, and not another CVS or fast food-oriented strip center. 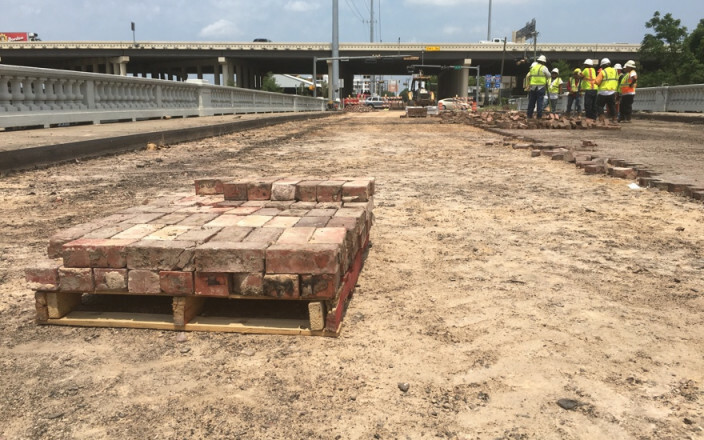 There is something uniquely Houston about tearing down an historic structure to build a memorial commemorating the history of that very structure. But that is exactly what the Houston Livestock Show and Rodeo and the Texans have suggested in their recent proposal for the future of the Astrodome. Those two primary tenants of NRG park pitched their $66 million idea to county commissioners two weeks ago, which involves razing the Dome and replacing it with green space, including historic markers and possible event stages. It seems like a less ambitious version of the steel-skeleton idea proposed by University of Houston architecture graduate student Ryan Slattery. We’ve previously supported the idea of turning the Dome site into something resembling a “Discovery Green – South,” but only as a last resort. This proposal falls short of that standard, lacking the ambition and easy access, not to mention funding necessary to create a park that can match Discovery Green. This plan also feels far too willing to ignore the potential that continues to exist in the Eighth Wonder of the World. Emmett has opposed any demolition, and says that this proposal is a “nonstory.” After all, the Dome belongs to the citizens of Harris County, not a professional sports team. But it is hard to ignore a plan sponsored by the two largest users of the NRG complex, especially given that they’ve remained generally quiet through all the past ideas, but for their own previously proposed demolition and parking lot plan. See here for the story so far. I do think it’s a little early to completely dismiss the idea, since the Rodeo and the Texans have not said how much of the tab they would be willing to pick up and what (if any) thought has been given to programming and paying for programming. Of course, the longer we go without any word from the Texans and the Rodeo on these subjects, the more reasonable it is to view this idea through a cynical lens. As the Chron notes, the Rodeo and the Texans have made their preference for demolition clear all along. If they’re serious about this being something more than just a way to make demolition more viable, then it’s on them to spell out the details. We’re waiting. And he’s not afraid to say so. Hoping to jump-start another discussion about redeveloping the Astrodome, Harris County Judge Ed Emmett on Thursday called the Houston Texans and the Rodeo’s proposal to demolish the iconic stadium and replace it with a park-like green space “a silly plan” and pleaded with members of the Hotel & Lodging Association of Greater Houston to give repurposing a second chance. 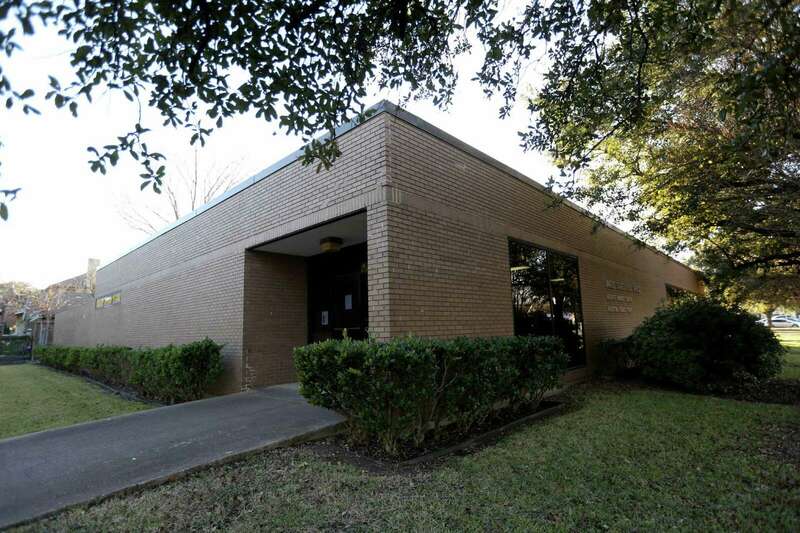 The county’s top elected official was not advocating for a specific redevelopment proposal and told association members there is not one currently under consideration by the Harris County Commissioners Court, which will have the final say on any plan to renovate or demolish the structure. Rather, he said that tearing it down would be a waste of a valuable taxpayer-funded asset and that demolition would come back to haunt him in retirement. In the last week, Emmett has expressed opposition to a $66 million proposal by the Houston Livestock Show and Rodeo and the NFL’s Texans to demolish the stadium and turn it into a grassy, outdoor space like downtown’s Discovery Green where festivals, tailgating and concerts could take place. He did so again on Thursday. Well, I think some nod to the history of the place if it gets torn down is the least we can do, but that’s a valid point. Judge Emmett was the only distinctly negative voice on Commissioners Court when the idea first surfaced, so this isn’t a big surprise. I’m happy to restart this conversation as well, but the problem is that after all these years there still isn’t an agreed-upon idea for What To Do With The Dome nor a way to pay for it. You’d think that if it was ever the time for a private investor to come forward with a plan, it would be now while we’re experiencing a huge real estate and construction boom. Alternately, the county could float another bond proposal; Emmett acknowledged in an earlier version of this story that they did a lousy job selling the last one, so maybe the next time, if there is one, they’d do better at it. I don’t know if this is going to go anywhere. The rest of Commissioners Court appears to be receptive to the Astrodome Park idea, though perhaps their enthusiasm will wane a bit if the Rodeo and the Texans get weaselly about how much they’d be willing to pony up for it. Emmett sort of called them out on that, saying he’d oppose the idea even if they picked up the entire tab, which I’m sure they never had in mind. Things are on hold while the Texas Historical Commission is deciding whether or not to grant the Dome historical status. Like I said, I don’t know where we go from here, but one way or another the matter is still open for discussion. 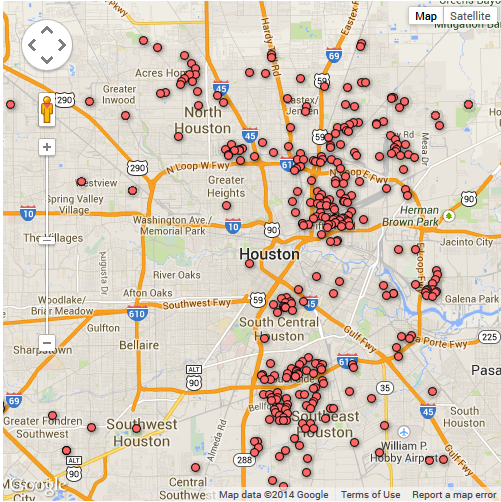 Hair Balls, Texas Leftist, and PDiddie, who does like the Astrodome Park idea, have more. If it can still be demolished, it’s fair to ask what was the point. The impending designation of the Astrodome as a so-called “state antiquities landmark” has offered new hope to those who want to save the iconic stadium, but the special title would not outright protect the former Eighth Wonder of the World from the wrecking ball, even though it would make it far more difficult. At an “Astrodome Stakeholder’s Meeting” on Wednesday convened by Harris County Judge Ed Emmett, preservation groups pointed out that the county still could seek a demolition permit from the Texas Historical Commission, even if the 13-member body votes this summer to deem the dome an antiquities landmark. Emmett noted that the county, under state law, could also make the case that redevelopment is too much of a burden on taxpayers in asking the commission for permission to tear down the now-empty structure. Emmett said he organized the Wednesday meeting because he wanted everyone to be “on the same page” about where things stand with the dome, particularly the antiquities designation he says will impose added difficulties as the county tries to figure out what to do next. Emmett said Wednesday the goal – as it was before the failed bond proposal – is to find a private entity to redevelop the dome at its own expense, something the county has been seeking for years now to no avail. He also said demolition still is not on the table, although he mentioned a provision in state law that would allow the county to make the case to the commission that demolition is necessary because redevelopment is too costly, if no plan pans out. “Part of this antiquities landmark process later on could be going to the historical commission and saying ‘Look we’ve tried we’ve tried, we’ve tried. We’ve not come up with an answer and this is too great a burden on the taxpayers of Harris County and that is a provision in the law that you can take into consideration,” he said. “If they grant the landmark status then I think that will force some people to come to the table and say, ‘OK, we’ve got to figure out what we’re going to do with the dome’ because I think it would be unlikely then, in the short run, that the historical commission would approve tearing it down,” he said. See here, here, and here for the background. Not sure we’re any closer than before to agreeing on What To Do About The Dome. Well, at least now we agree that it can still be torn down. Whether or not that’s what we want to do is a whole ‘nother question. So I guess we’ll just keep talking. Commissioner El Franco Lee, whose Precinct 1 is home to the county-owned Dome, said Commissioners Court is “not under any time constraint” in deciding what to do with the vacant stadium. “The only constraint we’re under is spending any public money,” Lee said. Lee noted that about $8 million worth of cleanup work, including asbestos removal, is underway to prepare the Dome for redevelopment or demolition and said that work would be sufficient to prepare the structure for the Super Bowl. A memo to the court from the county engineer states that “no major activity can occur until asbestos removal is completed” by next September. Harris County Judge Ed Emmett said Tuesday the Super Bowl is “a critical date” when it comes to the Dome’s fate but said the county will allow private parties another shot. “People continue to come and say, you know, if you give us a little time we’ll have $100 million or $200 million or whatever, and I think Commissioners Court is of a mind that if they show up here and they’ve gone through the Harris County Sports and Convention Corp. and they have the money and they want to convert it, then we’ll certainly listen to ideas,” Emmett said. Private funding is “the only thing you got left, and that is where we wanted to be in the first place,” Lee said. Emmett said he, too, is hopeful, even while noting the private sector has “had 10 years to come up with the money” to no avail. The “we’re in no rush” meme appeared immediately after the election, so this is no surprise. Private funding has always been the preference, since it (theoretically, at least) reduces the county’s exposure and most likely avoids the need for any further input from the voters, who needless to say can sometimes go off-script. There’s already a proposal to turn the Dome into a fitness center, with a promise from the proposer that given a couple months’ time he can scare up $200 million or so to do it. Not sure how I feel about that particular idea, but then like all of the others that preceded it, it’s unlikely to ever become anything more than an idea. If we wait around a little longer, and all indications are that we will, I’m sure plenty more ideas of varying levels of practicality will turn up. The question is what will happen if one of them comes with enough money to make a go of it. A judge has declined to dismiss a key piece of a lawsuit against the developers of 1717 Bissonnet, a proposed 21-story residential building widely referred to as the Ashby high-rise. The developers were denied a request that would have thrown out the plaintiffs’ attempt to seek a permanent injunction to halt the project. The case is now headed for a jury trial set to begin in November. State District Judge Randy Wilson issued a denial for partial summary judgment requested by the defendant on Sept. 20. The lawsuit was filed in May. I didn’t think much of its chances, and to be honest I still don’t. But who knows? The old apartments on the Ashby site have been demolished, the developers have their permits, and they vow construction will begin this fall. We’ll see if they’re right. The Chronicle gives its blessing to the Astrodome renovation referendum. There has been a lot of finger-pointing over the Astrodome’s mismanagement, but come Election Day it only matters that voters point their fingers to the ballot button and approve the $217 million bond initiative to save the Dome. The eyes of the nation are already upon Houston. The National Trust for Historic Preservation has just opened a field office in our city. What Victorian homes are to San Francisco, or Art Deco is to the New York City skyline, Mid-Century Modern is to Houston – and our greatest example is the Astrodome. But in the wake of failed leadership, the Dome has been listed as one of the top 11 most endangered places in the nation. St. Louis would not tear down its Gateway Arch. Sydney would not tear down its Opera House. Houston: We should not tear down our Astrodome. We have the power to save it, not merely as a museum piece or historic memorabilia, but as a refurbished and fully functioning part of Reliant Park. And for one-third of the cost of building such a structure from the ground up. Preserving the Dome should be the first step of reshaping the entire Reliant Park. If this passes, we urge the county to think bigger about transforming one of world’s largest parking lots into a comprehensive expo, hotel and green space – a Discovery Green South. Harris County’s finances are in good shape, and after years of economic doldrums, now is the time to save the Astrodome – Houston’s one famous landmark. Until now, we’ve viewed the boondoggle of the Dome’s decline as a sort of Shakespearean drama. It looked like politicians were scheming behind the scenes, putting forward a bright face while plotting to stab the Dome in the back. It has been a tangled yarn of good and ill, but in the end, all’s well that ends well. Vote to save the Astrodome. The Chron had previously expressed concerns that the process was rigged to set up a situation where demolition was inevitable but blame for the decision to demolish was avoided. I guess their concerns have been assuaged. There’s a PAC in place to advocate for the referendum, there’s still no visible opposition, and initial polling is favorable. If it doesn’t happen now, it was never meant to be. This week things start to get real for the Astrodome. Monday is an important deadline for those who are determined to save the historic Astrodome, as private firms turn in renovation proposals to the Harris County Sports & Convention Corp. But the agency that oversees Harris County-owned Reliant Park is also crafting its own plan, possibly a new one, which Executive Director Willie Loston said will be revealed to the board of directors at a meeting on June 19. “Even if we get a privately funded proposal that meets all the requirements, we’re still going to do a public recommendation as well,” Loston said. He would not describe the public plan, or say whether it is different from a half-billion dollar proposal the agency recommended to Harris County Commissioners Court last summer. That plan would have renovated the Astrodome and replaced Reliant Arena. Whatever plan the agency comes up with will go to county commissioners – along with private proposals – on June 25. County officials have said a “public option,” so called because it would be paid for using tax dollars, could end up on the ballot this November. In other words, the most recent What To Do With The Dome report, which was put together last year at this time and then put aside by Commissioners Court, is being revived by the HCSCC as a plan for Commissioners Court to consider. The three options presented were to renovate the Dome as a more modern sports arena for $270 million; do the same but also tear down Reliant Arena and replace it with a less-grody 10,000 seat arena for smaller events, for $385 million; and tear the Dome down, for $64 million. Unless prices have gone up, calling this a “half-billion dollar proposal” is therefore a bit of an overbid. Well, I suppose the HCSCC could have spiced it up some since last year, and thus driven up the price tag. We’ll know soon enough. The rest of the story is about some of the private proposals that are in circulation – Astrodome Tomorrow, Ryan Slattery’s park proposal, and one I hadn’t heard of before to turn the Dome into a business incubator. All private proposals need to have financing lined up in order to be considered by Commissioners Court. That brings up a point that I don’t think has been sufficiently clarified. Any vote in November would be about a public proposal – that is, a proposal to spend public money, presumably via a bond issue – and it has to be a straight yes-or-no vote, so if the public/bond proposal fails, the Dome is doomed to demolition. What that says to me is that private proposals will be considered first, and if one or more of them are considered acceptable to Commissioners Court, then they will choose among those proposals, and that’s what will go forward. The only circumstance under which there will be a vote is if there are no acceptable – i.e., adequately financed – private proposals. If you’re rooting for the Dome to be preserved, you want a private proposal to go forward so that you don’t have to sweat out the result of an election. Chron columnist Ken Hoffman fired a shot in his Sunday column. 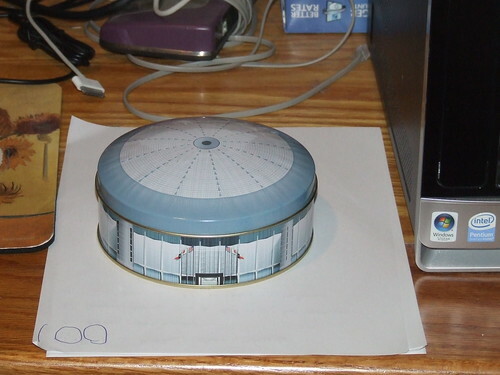 What to do with the Astrodome? It’s had its day. Let it go before it becomes even more of an embarrassing money pit. Dump the Dome! I figured out why the Astrodome is just sitting there falling into disrepair – because the ones who are making all of the decisions on the fate of the Dome are all men – and men can’t throw anything away! What’s wrong with making the Astrodome into an amusement park? Everyone misses AstroWorld, so why not combine the two venues? With all the young and inventive minds we have here in Houston, I know it would be great! Seen any unicorns lately? Stop expecting the politicians in charge to do anything with the Dome. They will let it rot there, burning millions of dollars each year. They don’t care. They’re political cowards. I dare them to take action on improving or renovating or removing the Dome. And in short order, fire was returned. Harris County Judge Ed Emmett responded to my note last week calling county officials “political cowards” for allowing the Astrodome to rot and become an eyesore burden on taxpayers. I have to go easy here, because Emmett is one of our most effective officials – and I bump into him at Bubbles Car Wash. But give me a break. You’re just getting around to this now? Architects began work on Reliant Stadium in 1997. Groundbreaking took place on March 9, 2000. The Astros moved to Minute Maid Park later that month. That was more than 13 years ago. County officials have done nothing since then to renovate the Astrodome, find another use for it or tear the sucker down. Emmett has been Harris County judge since 2007. The county spends more than $1.5 million a year just on insurance, maintenance, security and utilities at the Dome, which has become a moldy, unusable, condemned home for rats … and the cats who love them. The domed money pit doesn’t have an occupancy permit. In its present condition, it is good for absolutely nothing. County officials have held meeting after meeting to discuss the Astrodome, but nothing ever gets done. Now two more meetings are scheduled. Whoopee. County officials are like someone who throws a baby in the river, jumps in and saves the baby … and wants a medal. You caused this problem by doing nothing for the past 13 years. You want a medal for having more meetings? Don’t worry about me calling you a political coward. Do something heroic. OK, hold it right there. The problem with the lack of action on the Astrodome has nothing to do with indecisiveness or an absence of fortitude. It has everything to do with what We The People want, because for the last dozen years or so that’s what Commissioners Court has been trying to provide. If all that was needed was for a politician to Make The Tough Decisions, then the Dome would have been torn down about five minutes after the crowd dispersed from the last Rodeo event was held there. We’ve already established that demolition has always been the fate of unused sports venues, and let’s face it, that’s how we roll around here. Tear it down and figure out the details later – it’s much easier to find a use for an empty lot than for an empty building. The problem is that We The People have made it abundantly clear to our elected leaders that we do NOT want the Dome torn down. It’s an important piece of Houston history, and many folks have very fond memories of seeing Jose Cruz or Earl Campbell there, and so we want someone to Do Something and transform the Dome into something else so that we can continue to use it or just look at it and revel in all those nice memories. Unfortunately, it will cost a crapload of money to rebirth the Dome as one of those things that people like to suggest it be used for. So far, no one has figured out a way to finance any of these visions, and the county – which is still paying off the debt from the Dome’s last renovations, remember, in addition to the debt from all the shiny new stadia that we have – is understandably reluctant to float a ginormous bond issue on speculation. I for one have a hard time blaming them for that. And so the only viable course has been to do nothing, funding a few feasibility studies every now and then on the odd chance that you might strike gold, and hope that sooner or later someone will get one of those crazy ideas financed, or less likely that popular opinion will shift and people will come to accept that maybe the Dome will have to go. That appears to be what is happening now, with an assist (or a shove, if you prefer) from the Rodeo and the Texans. We’re about to see what out choices are, and it will be up to us – as it has been all along – to decide what to do.